A quickie post to say that I’m visiting with Ana Coqui at Immersed in Books today. 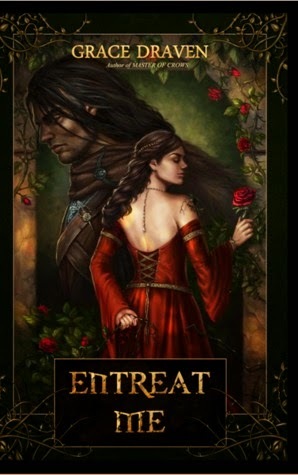 We read Entreat Me and Radiance, both by Grace Draven and chatted about both books. I liked one better than the other. For what we thought about these fantasy romances, check out Ana’s blog. Also, Blogiversary Week is over for the year and this morning I drew the winner of the $50 Amazon giftcard. Congratulations, Lorn L. You win! I’ll be emailing soon to find out your ebook store preference. And thank you again to everyone for reading and commenting and loving romance and food right along with me this past year. You’re the best!